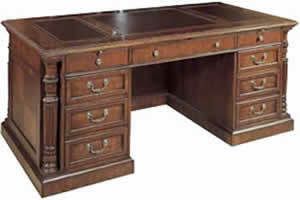 We feature quality desks for offices and home offices, such as this Hekman home office desk with fluted chamfered corners and leather writing surfaces and this fine, seven drawer executive desk with center drop front and central locking system. 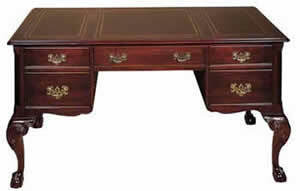 Offices don’t have to be drab and uncomfortable! 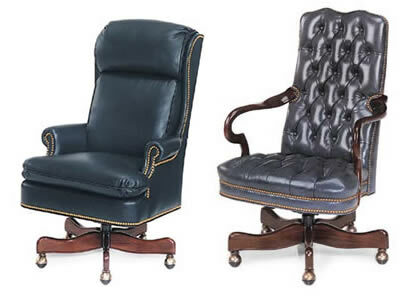 Our selection of fine office chairs includes selections from Hancock & Moore such as the Freeman Executive Swivel-Tilt Chair and the Kensington Gooseneck pictured below.